Now that I have this one, I want more tattoos! The next one I want will be from my favorite comic book series, and I can’t wait to get it. Since I got it, though, I’ve been getting a lot of questions about the process, whether or not it hurt (yes, it did), and how I decided to get this one and subsequent tattoos. If you’ve been contemplating a tattoo, and not sure which fandom/nerdy subject to immortalize, here are some quick tips to deciding what exactly to get as a geeky tattoo! It’s a great way to stay nerdy in a very artistic way. While this sounds like a challenge, narrowing down your options will help you determine which are most important to you. For example: if you love Harry Potter, Disney, and Star Wars, think about which ones you naturally gravitate towards more often than the rest. Think of any accessories, nerdy swag, artwork, collectibles, etc. that you may have acquired that represent these fandoms. That could be a good indicator for which ones mean the most to you. And, of course, go with whichever ones have a deeper/special meaning to you. Once you’ve whittled down your favorite fandoms, it’s time to decide on any symbols, characters, phrases, quotes, and/or images. A popular option is the Deathly Hallows symbol from Harry Potter, or the phrase “Always.” Or, if you’re a fellow Trekkie, maybe you want to get the Delta Shield inked on your skin. 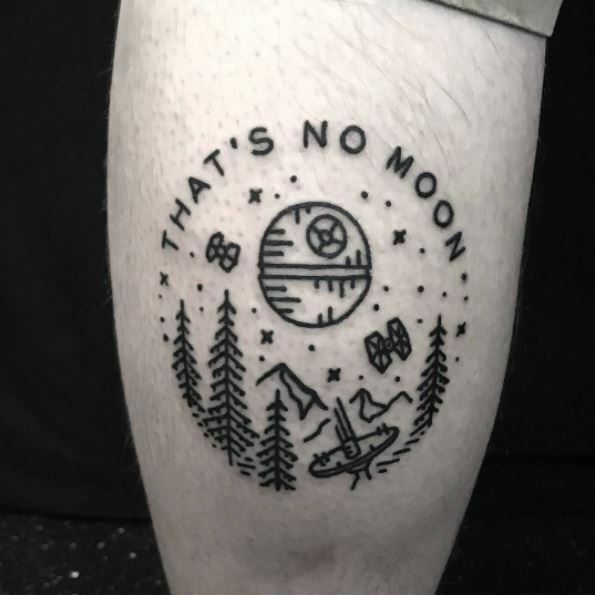 While some of us would prefer to be less “mainstream” as others, it is certainly not a bad thing yo choose a geeky tattoo that is popular or well-known. After all, if you enjoy it and know you will love it for years to come, who cares if someone else thinks it’s “too popular”? It is important to remember–however redundant it may sound–that tattoos are permanent. I know it seems daunting to think about what you may have an interest in next year, the year after that, or 10 years from now, but it shouldn’t be a challenge if you’re going with a tattoo inspired by a fandom you’ve loved for years already. Can’t Decide on Just One? Get Another, and Another, and Another! Do you have any tattoos or nerdy tattoos? If you could get any tattoo, which one(s) would you get? Let me know in the comments below so we can nerd out!